Explorer’s team of designers and cartographers worked in collaboration with CBRE, one of the world’s largest commercial real estate services firms, to customise our Dubai Mini Map. 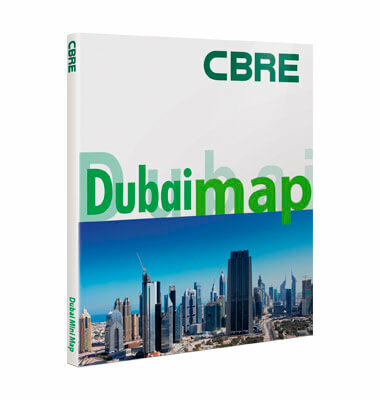 CBRE added their own cover, branding and images to Explorer's easy-to-read map to create a useful navigational aid, and prominently display their office locations within the context of Dubai. The map also shows major landmarks, hotels, shopping, residential and business districts, and street names.